Thanks for sharing this recipe. I like the way you set up the pictures too, very pretty. 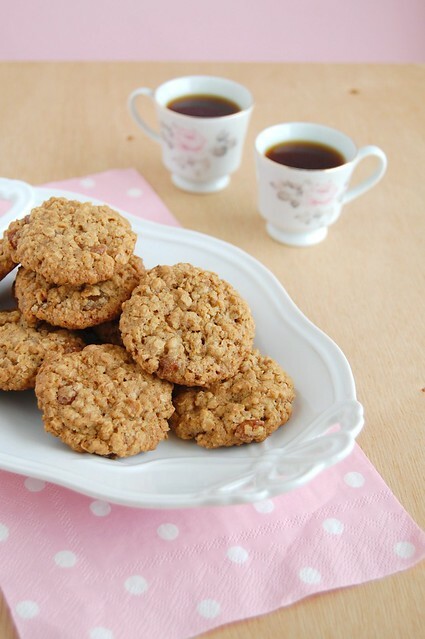 We make oatmeal cookies all the time at home, so I will try this recipe next time! My husband is very fond of Clinton, so he will be thrilled. Ha ha ha on our former Prez's taste :) The cookies look delish...never get tired of an oatmeal cookie. Oscars, this weekend--yay! 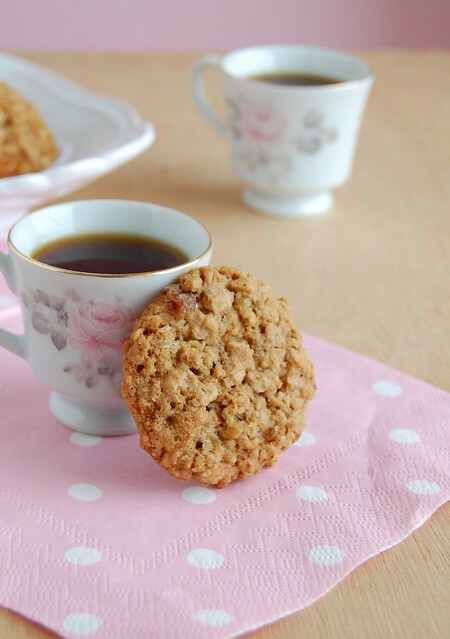 I love everything oatmeal :) This cookies look fantastic! the cookies look so crunchy - my preferred texture! my mother was asking me for a good oatmeal cookie recipe yst and so it's such coincidence that i saw this today! gonna give it to her to try :) thanks! I must admit I hardly ever (never) bake cookies, but these sound terrific! I love Sherry Yard's Pres. Clinton's oatmeal cookies. I'm going to try the ones you like from "The Sweet Life" just to compare. I can never have too many oatmeal cookies! Jessica, thank you for stopping by! These are really good, I hope you and your family like the recipe! Katie, the raisins are wonderful! Thank you, sweetie! Gloria, thank you for stopping by! Brittany, these are fab! I hope you give them a try! Vivienne, they are soft in the middle and crunchy on the edges 0 yum! I hope you give these a try, they're wonderful! Maria, you should! Everything you bake is beautiful! Mary, I have been baking from Yard's book and loving it. Her devilish angel food cake is to die for! Thank you for stopping by - you are one of my all time favorite bloggers! Mutfak, thank you for stopping by! Thank You so much for this recipe! I have made them for 3 times,but with less sugar. Fat raisins - genius idea. Hey, Oosha! Thank YOU for letting me know how the recipe turned out! I'm so glad to hear your opinion about it!